Claudius Schulze, a graduate of the MA program in Conflict Resolution in 2009, is at news in Hürriyet Daily News. "The offer of a full scholarship for a master’s program from a prestigious university (Sabancı University) brought photojournalist Claudius Schulze to Istanbul. After a nine-month period in which he gradually got to know the city, Schulze sought to see past the obvious and capture more original and personal shots of a multi-layered city in continual flux. 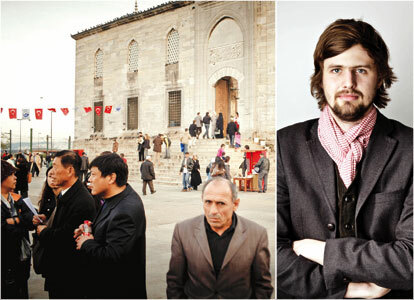 His current work takes him as far afield as Diyabakır and to the camel-wrestling championships in Selçuk." for the rest of the news, click here.